Need extra security for your van? Reading Auto Locksmiths supply and install high security van slam & deadlocks to any make of van on the market. It is a good idea to up-grade the locks on your van as standard factory security can be beaten with basic tools with little noise and damage! Every van with standard security is a easy target with or without tools in it! Thieves will always like to have look inside. Even if you have the sticker saying no tools left in this van overnight Thieves will still have ago. On average 1 to 15 vans a night are reported to be broken into in the Reading area. This is a big business for thieves selling on your tools. Just think of the damage it causes to your business and livelihood. Not only that the cost on having to replace all your tools. Ford Transit vans are now the most common van broken into & stolen. This is down to the design in the lock & ECU / OBD port The Ford Transit van is one of the most vulnerable van to be broken into. Reading Auto Locksmiths specialize in van security & van security locks. Loom Guards – available for both the Ford Transit and the Ford Transit Connect, this device shields the exposed and vulnerable central locking wires which can be seen from the exterior and easily cut. If this happens it will give the owner a costly bill and great inconvenience as the doors cannot then be opened and access to the load area is restricted. Thieves are breaking into Transit Vans by picking the Ford Tibbe Door Lock (Picks can be found Online), decoding the key and then opening all the doors. From here they can steal the van in its entirety by overriding the immobiliser via the OBD socket or empty the contents from the unlocked load area. 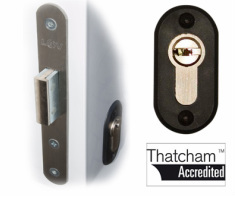 Our Unique Direct Replacement High Security Door Lock replaces the vulnerable OE Lock and requires no drilling or adjusting of the OE mechanism setup. This device is fitted in 15 minutes and is the perfect solution to this problem. Thieves have discovered a new way to steal your van via overriding the manufacturer’s immobilisation system by connecting a Laptop/PDA into the OBD socket and programming a new key into the ECU. 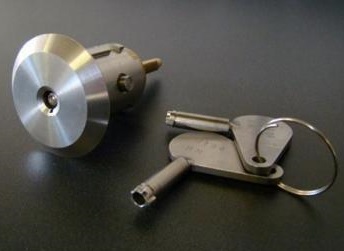 They start by decoding the manufacturer’s door lock which unlocks all the doors, disables the alarm and gives them the key combination for your van so they can get a key cut with a new chip. Once the key is cut they return to the van, unlock the doors with the new key and then connect their Laptop/PDA into the OBD/ECU connection where they can program in the new key, start the vehicle and drive it away — All without causing any damage. Protect & Prevent Your Van From Being Stolen Call Now For More Information On Safeguarding Your Ford Transit Van.